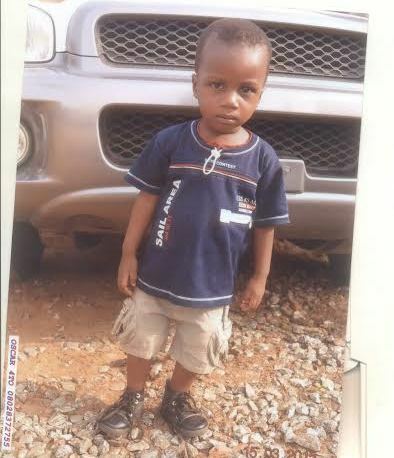 3yr old David Okoli is missing. According to family sources, he was kidnapped last week Tuesday by a strange woman on his way back from school. Any useful info about his whereabouts should be communicated to his family on 0803 680 4451 or 0803 784 9594 or the nearest police station..